Just One zaidi Smash XD. . HD Wallpaper and background images in the Super Smash Bros. Brawl club tagged: super smash bros. brawl image samus final smash funny. This Super Smash Bros. Brawl fan art contains kubadilika kioo dirisha. There might also be anime, comic kitabu, manga, cartoon, and mkono. Wario is fat what do u expect. Samus is pissed off because that was total ripoff. 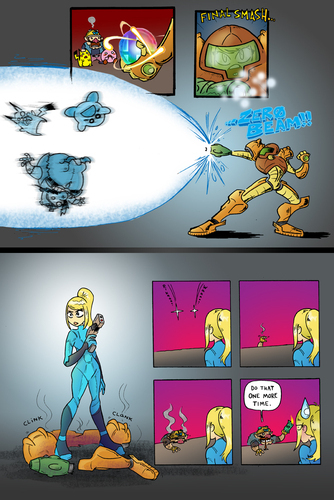 Me:Samus is awsome,wait,is that Wario? Marth:come with me to my wonder land.